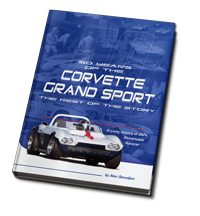 VIR has become one of Duntov's favorite racetracks. 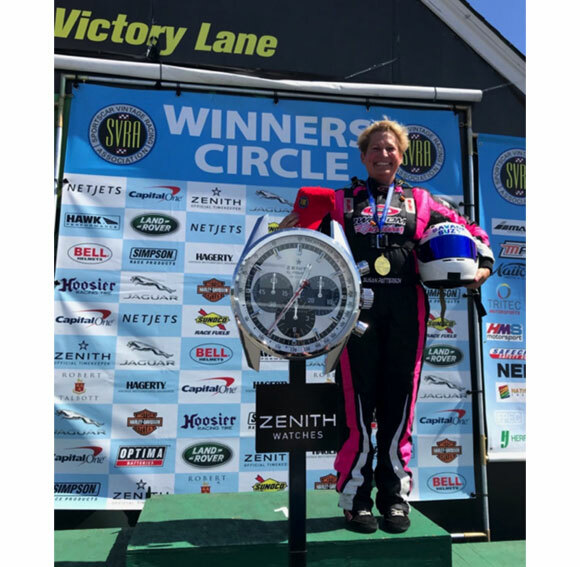 This was the second year for the team at VIR, and again Duntov cars brought home the gold. 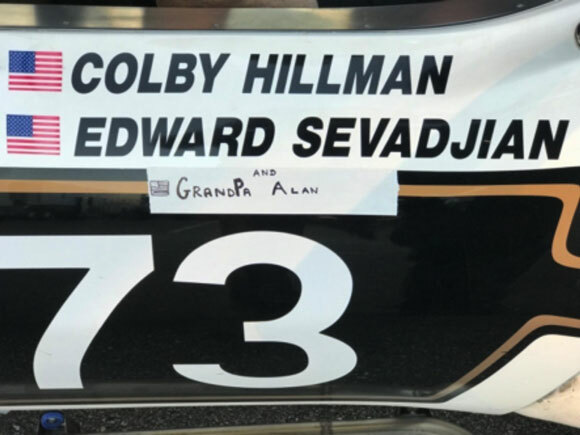 In fact this year, on the way to another Group 6 Enduro win, Colby Hillman's Corvette set the fastest lap ever run at VIR in an SVRA Group 6 car. Lynn Hillman making last minute checks on Colby before the Enduro. 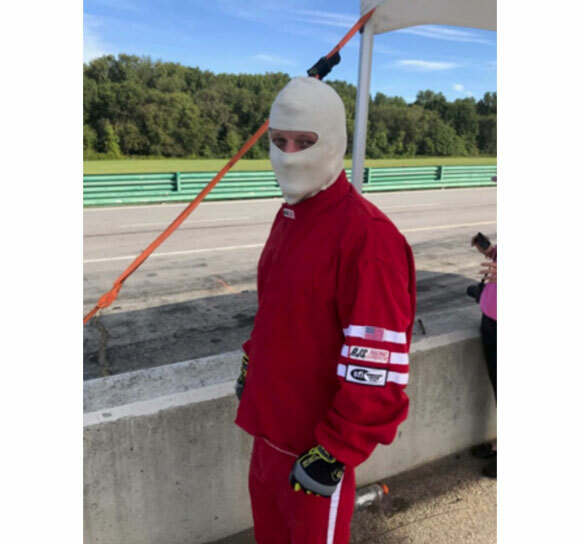 It was Colby's first time ever at VIR, but you would never have guessed it. 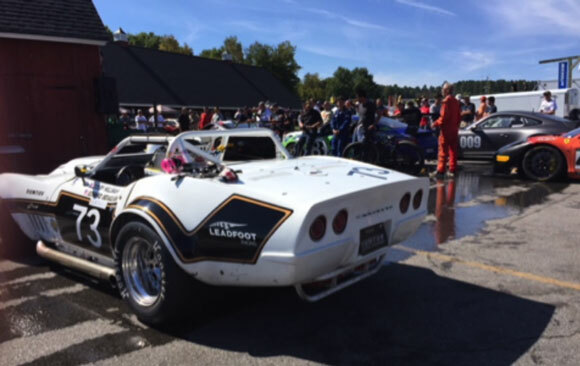 On paper, Group 6 is the slowest class in the Historic Enduro field, in fact they split the group specifically to put the big block Corvettes into the 'big" Enduro while the rest of Group 6 enjoys much slower competition in the Vintage Enduro. Colby started the race in the middle of a pack of much faster cars and stayed with it right through a gigantic accident that every other driver thought would surely bring out a full-course yellow. Everyone but Colby pitted, and by wisely staying out, Colby inherited the lead. 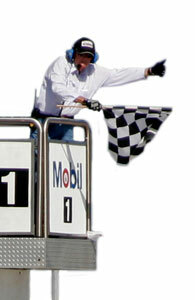 When Colby’s car reached the refueling window, convinced the officials were never going to throw the yellow, Colby brought it in and turned it over to Alan who drove four laps before the officials finally flew the full-course yellow for the accident that happened twenty minutes earlier. It was caused by a Sports 2000 that departed the track near the esses and literally destroyed itself across a debris field more than a hundred yards long. The driver, body, frame, and engine were all separated from one another, and it looked to Alan as if the yellow was going to take a while, so he did like Colby and stayed out while others pitted again. Fortunately the driver involved in the accident was OK.
Clete Wilden, Duntov’s intrepid Enduro fuel man. Edward signaled Alan to pit, Clete topped it off, and Edward then took it to the checker. Through attrition and pit strategy, the slowest class entry ended up second overall, and its fastest lap was quicker than the fastest lap of the guy who finished first. Colby finished 1st in Group 6 and 2nd overall in the 90 minute Enduro. The Enduro took a bit of a toll on Colby's car, and there wasn't quite enough time to make it perfect before the Group 6 sprint race later that afternoon. The choice was to load it up or run it, and Colby decided to go for it. Colby is in a points race for the Group 6 Championship, and he had no intention of parking that car, instead he nursed it home to close to within a couple of points of the lead in Group 6. The points championship will be decided at COTA, and thanks to his finish at VIR, Colby is still in the hunt. 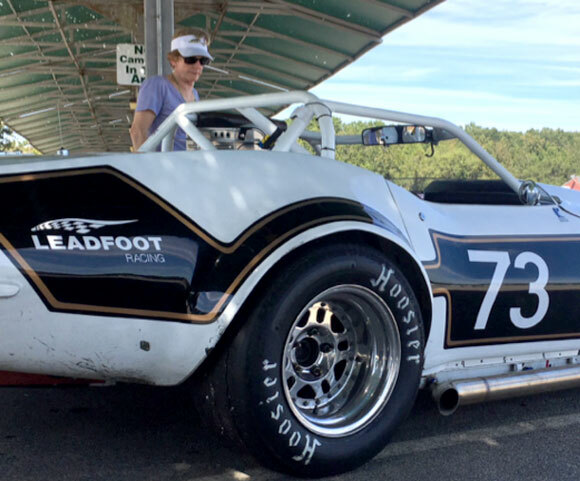 It was Susie Patterson's second trip to VIR, but her first with the Cobra. It was a crowded field, but Susie won the Group 4 gold, and in so doing, she became the idol of Alan's visiting granddaughter, Zoe. Alan had given his hat and second place medal to Zoe after the Historic Enduro, and later, then when Susie won the gold in Group 4, Zoe made an early career path decision. 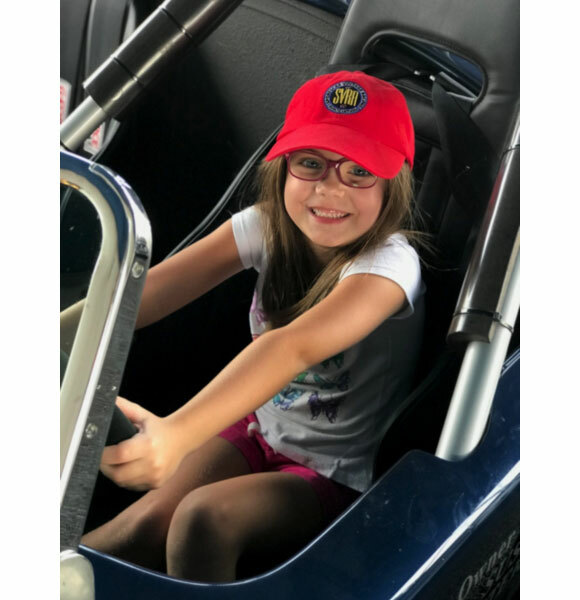 She sat in Susie's car and announced she was going to be a racecar driver. Susie Patterson making a lasting impression on Zoe Sevadjian. Zoe Sevadjian - the next generation.